Kareena Kapoor Khan is the ultimate fashion icon in the industry and you can't argue on that! The actress has been killing it with her amazing sartorial choices, making the fans fall in love with her, every time she steps out of the house. From photoshoots to gym looks, she is a style pro. 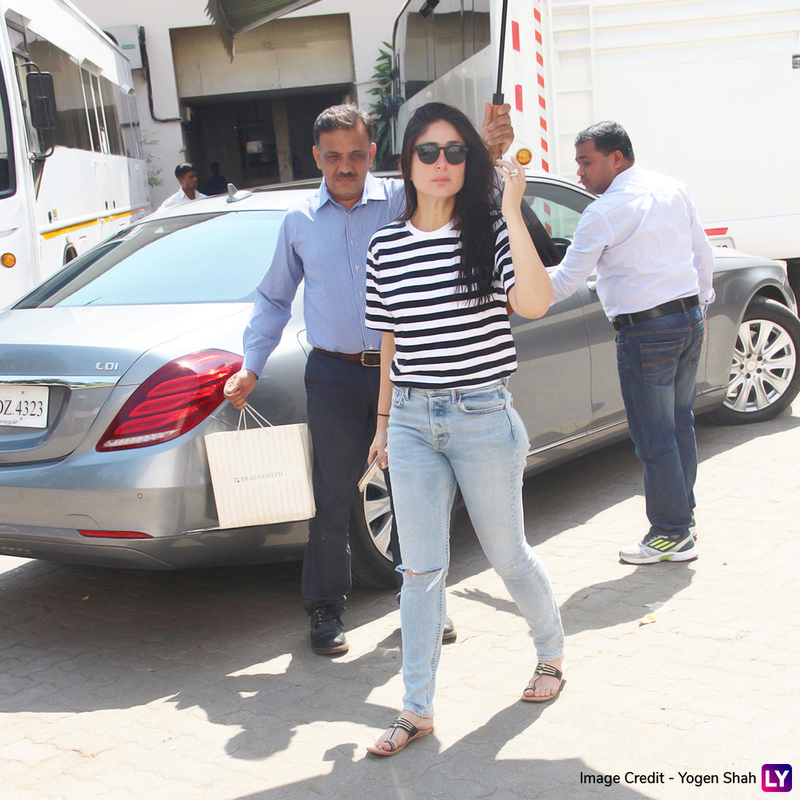 Like always, yet again, she was spotted in a basic chic look at Bandra's Mehboob Studio. She was here to shoot for her upcoming film, Good News. 'Sun' Taimur Ali Khan's First Drawing is Dedicated to Mommy Kareena Kapoor Khan-View Pics. 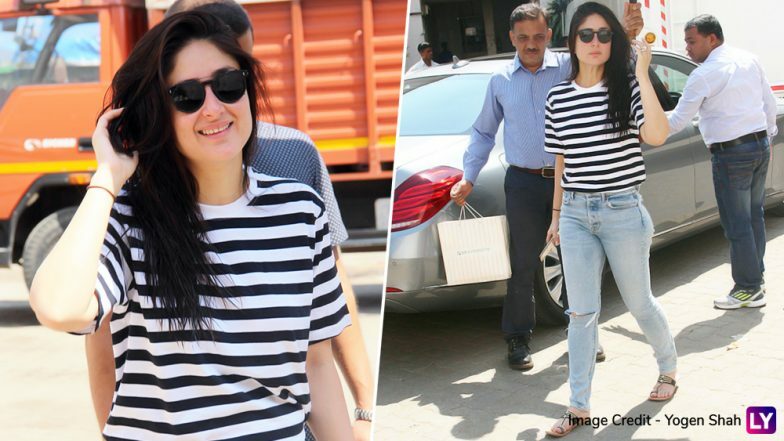 The Veere Di Wedding star looked pretty in a simple black and white striped tee paired with blue jeans. She kept her makeup non-dramatic and let her hair loose. That's that! There was no hint of glamour in her recent look and yet she managed to look modish as ever! Only Bebo has that power, you know? Check out these pictures below. 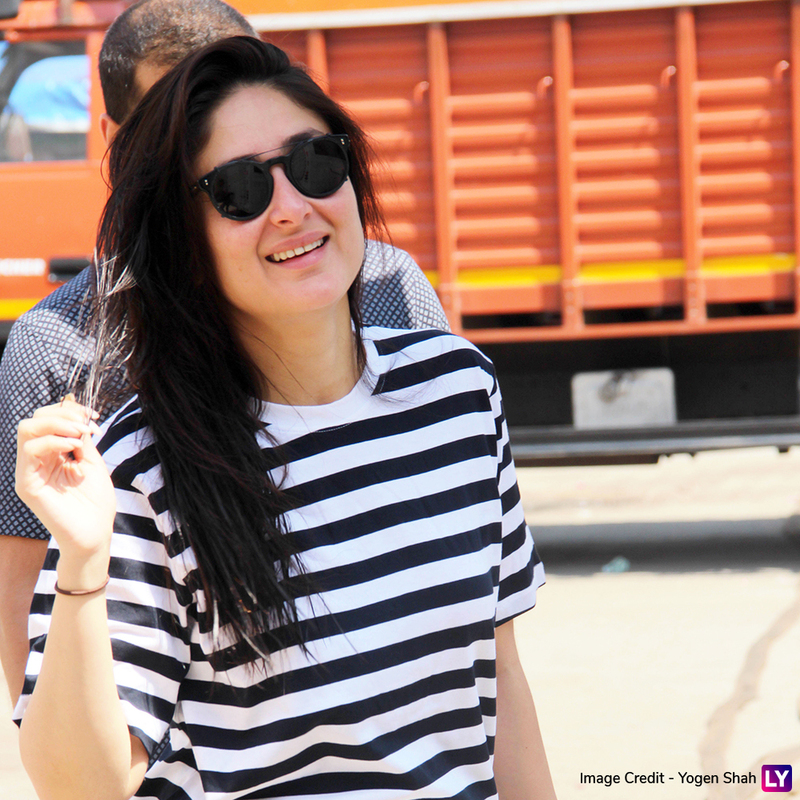 Kareena was all smiles for the papz! As we said above, she will seen in a flick called Good News where she will be dealing with pregnancy issues. The flick also stars Akshay Kumar, Kiara Advani and Diljit Dosanjh in the lead roles. Her pics with a 'baby bump' sent the fans into tizzy initially only to find out later on that it was for this film. Also, she will be next seen in the much-awaited sequel of Hindi Medium, titled as Angrezi Medium. She will be sharing the screen space with Radhika Madan and Irrfan Khan. There is not much revealed about her role but reports say that she will play a cop in the film. Coming back to the pictures above, this basic avatar is so easy breezy that you can try it too!